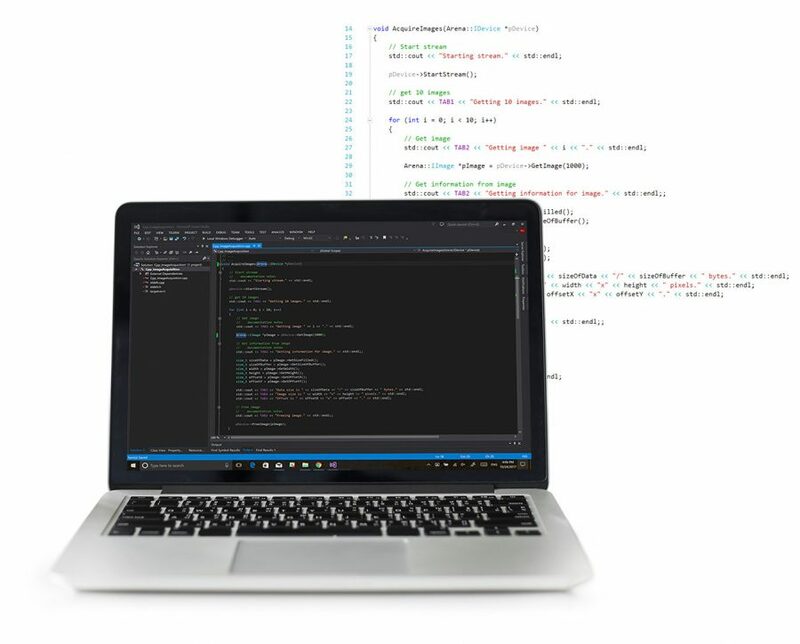 The Arena Software Development Kit (SDK) is designed from the ground up to provide customers with access to the latest in industry standards and computer technology. The SDK supports LUCID GigE Vision cameras on both Windows and Linux platforms. The Arena SDK provides API access to a variety of camera feature sets. Image chunk data provides meta-data on captured images. Events and triggers can be used to create deterministic camera operation. Save and load streamable camera settings for quicker setup across multiple cameras. Our SDK allows you to build and scale custom solutions quickly and easily. Check out our code examples to learn how to use features on your device in order to implement your unique vision. Each example project provides a buildable, executable demonstration of how to accomplish a particular task using an available technology. The code shows the correct parameters and sequence of calls for general use-cases that can be copied and modified to meet your specific needs. Examples available in C++, C, and C#. 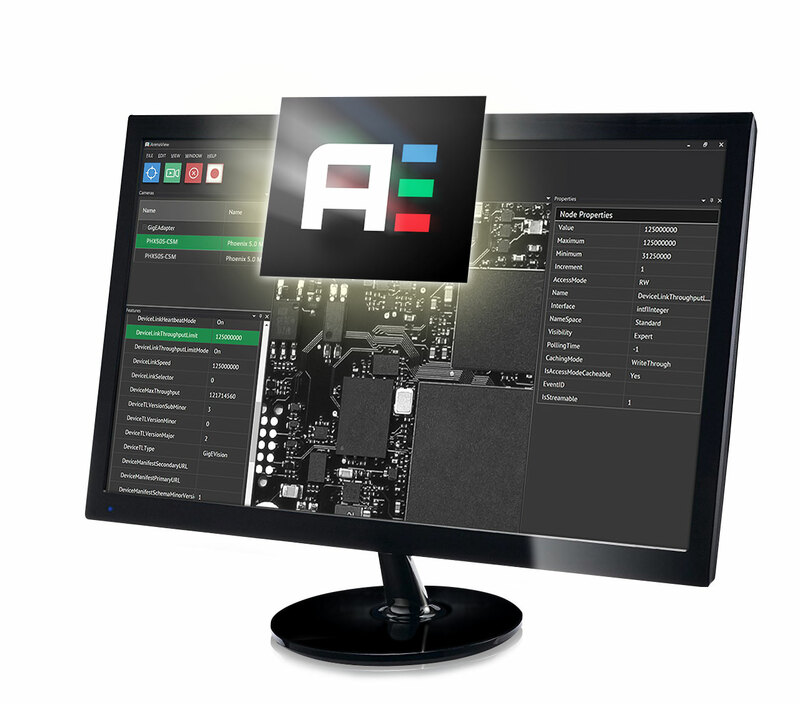 The Arena SDK includes an easy to use GUI called ArenaView. Based on the GenICam standard, ArenaView allows you to access and validate camera features quickly and easily through the GenICam XML based feature tree. Optimized for today’s diverse range of user preferences, our viewer improves readability on higher resolutions and includes options for different color schemes. Tutorials on how to create your own GUI coming soon! GenICam™ is an interface agnostic, programming standard for machine vision cameras. The Arena SDK supports the latest GenICam 3 standard enabling faster camera enumeration and a smaller memory footprint. 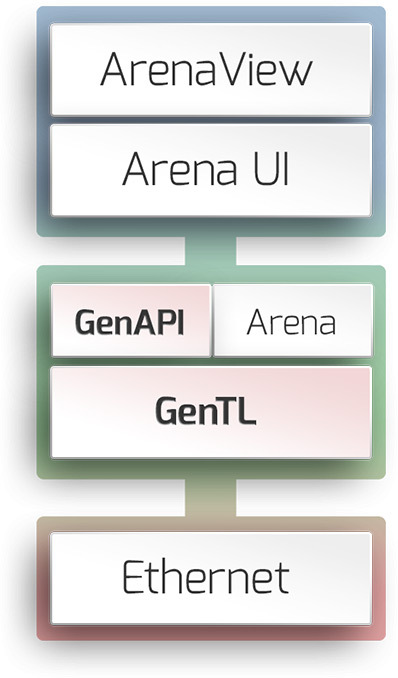 Consistent GenICam experience for shorter Arena SDK learning curve. Modernized XML structure for faster load times. Reduced code size and memory usage for smaller system footprint. Optimized for more efficient embedded system operations.